Mould weight: about 0,600 kg. Object weight made in chocolate g.
Weight of the GIOCOLOSO PUPPY DOG CASUAL STYLE made in chocolate: about 526 g. = 18,5541 oz. 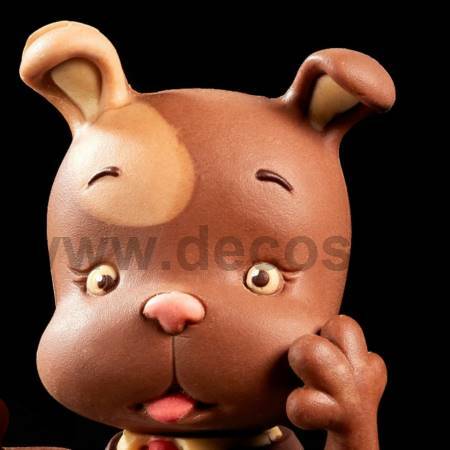 Weight of the GIOCOLOSO BUNNY COUNTRY STYLE made in chocolate: about 498 g. = 17,5664 oz. Weight of the GIOCOLOSO TEDDY BEAR SANTA CLAUS STYLE made in chocolate: about 577 g. = 20,3531 oz.